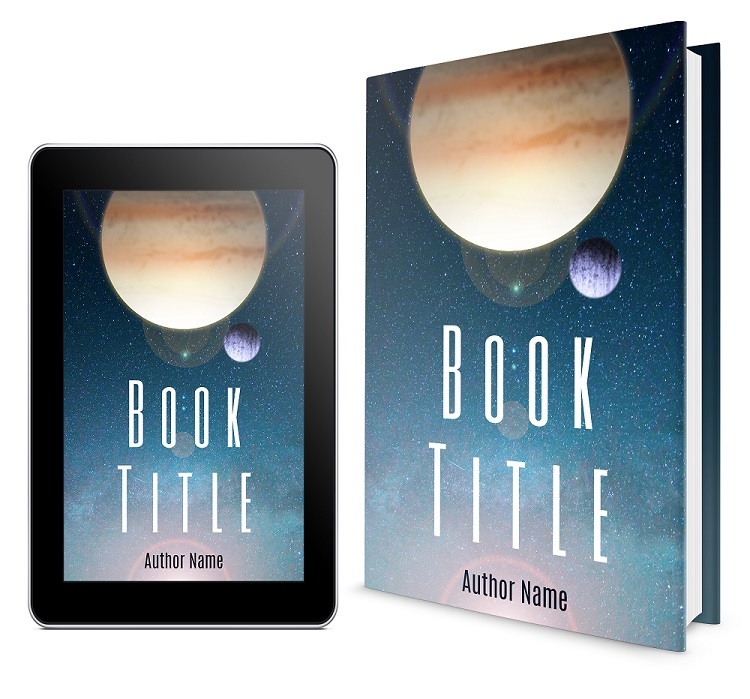 A quick approach to the launch of your new book can include the use of Ready Made book cover designs, these are pre-made covers which have been designed to be used by a whole host of authors and with a wide range of genres in mind too. The premade book cover service is something that a lot of designers will offer their clients, for some authors it fits their needs nicely and is a great way to get a professional book cover at a cheaper price and within a quicker timescale. These ready-made designs tend to be used mainly for eBooks as the printed versions will vary depending upon the specific size and page count of the book itself. So what should an author take into account if considering a pre-made design? Here are our top tips to help you whether or not a ready-made is right for you. 1) How exclusive is it? – Some designers may use the same cover design for multiple book covers, only the title and author’s name will change upon the page, ask if the design will be used for you alone. 2) Stock imagery – Most premade covers will also use ‘stock imagery’, this is no bad thing as a great deal of ‘tailor made’ designs will use them too, however, you’ll need to ensure that the cover is simply not just an image taken from a stock website with your title and name upon it, it really should be more than this. 3) Price – Although the price of a premade cover will be cheaper, it should not be reflected in the quality of the design itself. 4) How specific do you need to be? – For some authors it’s imperative that the design is clearly based around the story within the pages of the book, for example, if the protagonist has brown hair and blue eyes yet the main figure upon the cover is blond with green eyes it can confuse any reader. 5) Think – Leading on from how specific you need to be, you can of course always change a book cover, but if you’re paying for one then it’s best to get it right from the very beginning. Take the time to decide what you would ideally like to see representing your work, if a ready-made design fits then use it, if not, get one made (again, you still don’t have to spend hundreds of dollars/pounds). 6) eBook and more? – You may at first decide to get the design for an eBook only, but what happens should you want to get the book printed? Can your ready-made book cover be converted and if so will the back page and spine flow into the front? This is something we’ve done a lot of recently and it can be quite time consuming, ensuring your cover can be adjusted in the future is a question well worth asking (and one which can save you money). 7) Time – Most authors will pick a premade cover due to two things, price and time, if you are working within a very short timeframe a premade cover will be a great option, most can be ready to use well within 24hrs (they of course just need to be update with your title and name). A pre-made book cover should look professional and at the same time have the quality of a commissioned design, it’s worth doing your research prior and where possible chatting to some designers to see how they work with authors on delivering the cover.